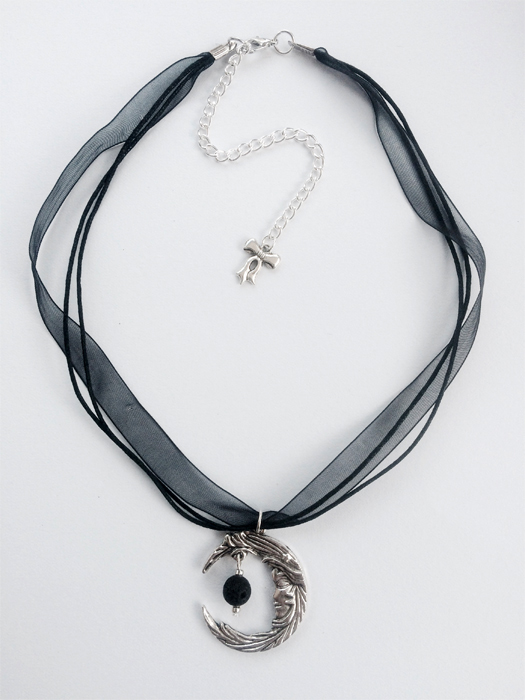 The Moon & Lava Rock aromatherapy necklace - with Tibetan silver moon (reversible design) and lava rock bead on organza ribbon and waxed cotton cord with silver-plated extension chain. Lava rock is porous and will absorb your favourite aromatherapy oils. Just rub a drop into the bead and allow to dry before wearing.